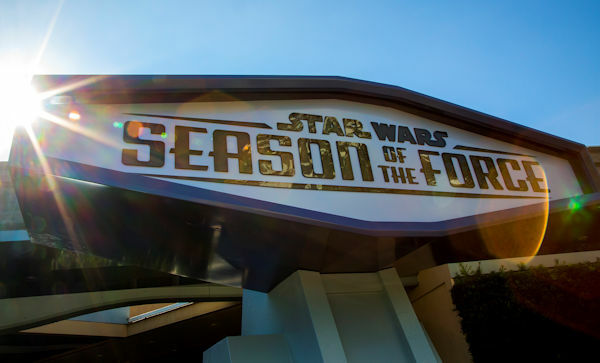 So, after wrapping up this week's episode of Inside The Mouse Castle, I thought I'd wait until I got to Anaheim to write up my show notes. 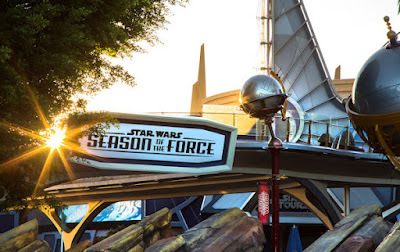 You know, just take it easy, soak in all the Disneyland ambiance, get ready for runDisney's Avengers Super Heroes Half Marathon this weekend and OH MY GOD, DID YOU SEE THE PICTURES FROM SEASON OF THE FORCE?!?!?! All photos by Paul Hiffmeyer/Disney. 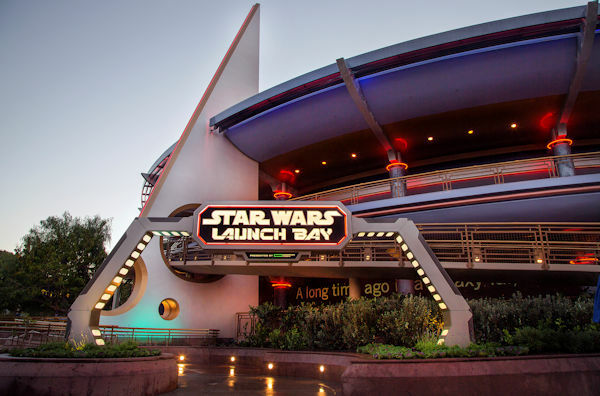 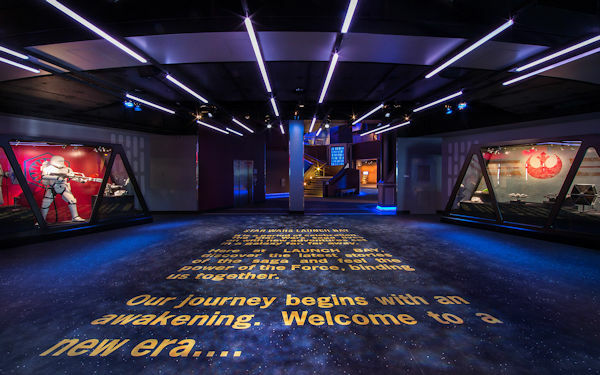 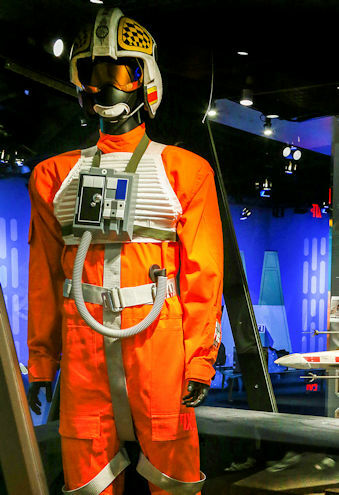 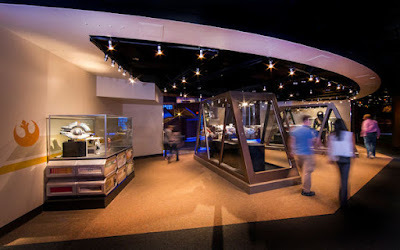 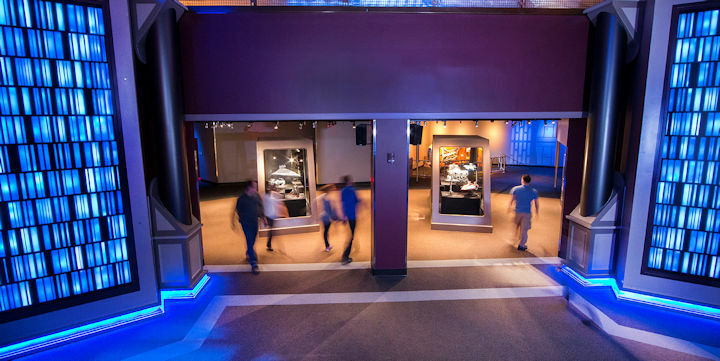 The interactive showcase of all things Star Wars includes the Launch Bay, which takes up an entire floor of the former Innoventions building. 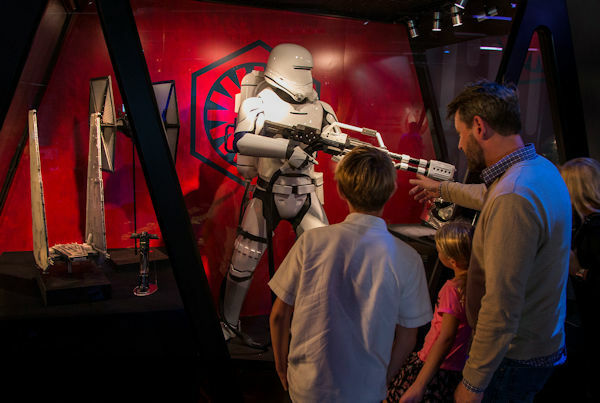 Guests will find a treasure trove of film prop replicas, costumes, ship models, droids, artwork and "other notable items." 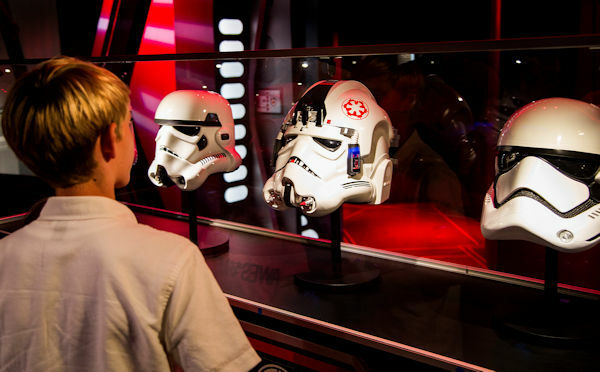 There will also be character meet-and-greets representing both the Dark Side and the Light Side of the Force. 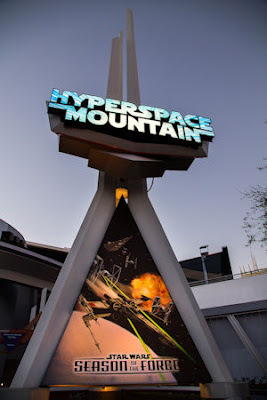 Next door, Space Mountain is getting a Star Wars overlay, transforming it into Hyperspace Mountain where you'll find yourself thrust into the midst of an X-Wing Starfighter battle. 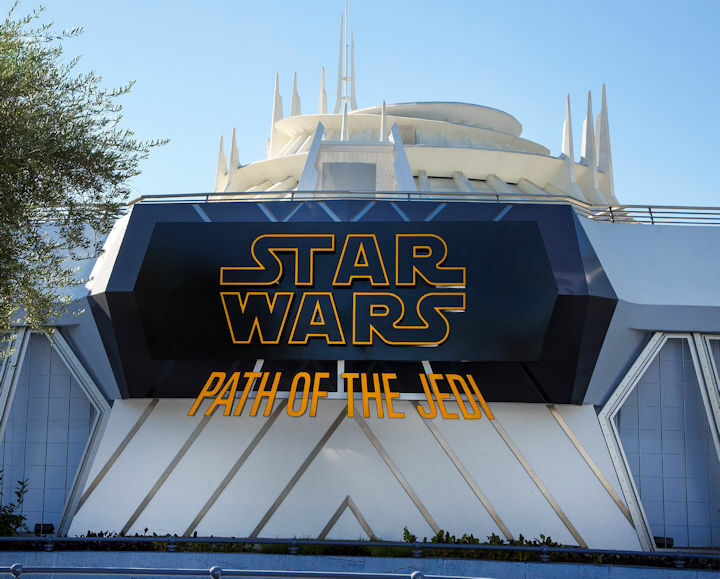 In Star Wars: Path of the Jedi, inside the Tomorrowland Theater, you can catch an assemblage of clips from Star Wars movies past and present. 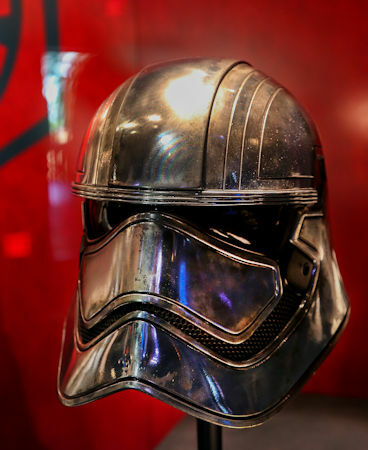 Yes, that means you'll get a glimpse of The Force Awakens. 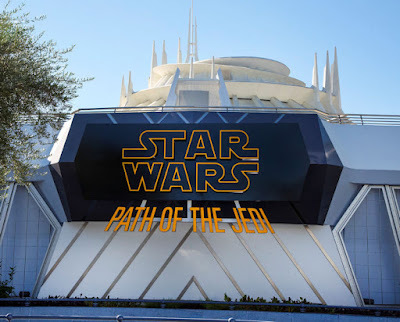 Finally, the Tomorrowland Terrace and the Pizza Port will feature some new Star Wars-inspired menu items, and beginning December 8, the Jedi Training Academy will get an update, Trials of the Temple, a "reimagined battle experience (that) takes younglings to the secret site of an ancient Jedi temple, where they discover if they have the makings of a true Jedi." Most everything in Season of the Force is set to open on Monday, November 16, but we're kind of hoping for a soft opening this weekend. Please, Disneyland? 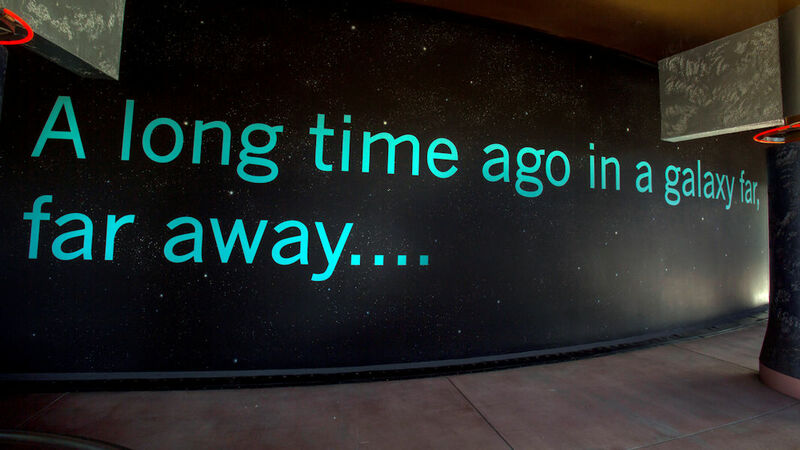 Pretty please? Oh yeah, Anthony and I did a show this week. It's all about Star Wars (of course), Anthony's recent visit to Disneyland, #ForceForDaniel, the new trailers for Finding Dory and Alice Through the Looking Glass, Robin Williams, the Muppets and the Avengers Super Heroes Half Marathon Weekend. Whatever.